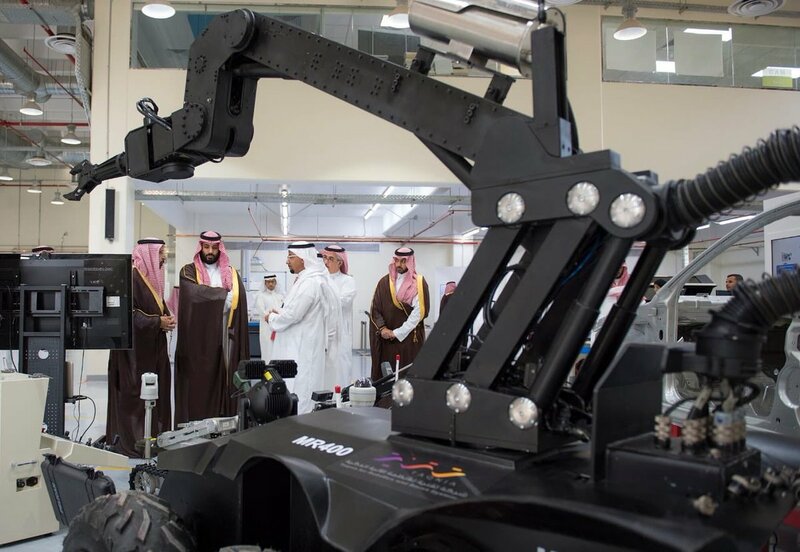 JEDDAH: Crown Prince Mohammed bin Salman launched a project to build Saudi Arabia’s first nuclear research reactor on Monday. 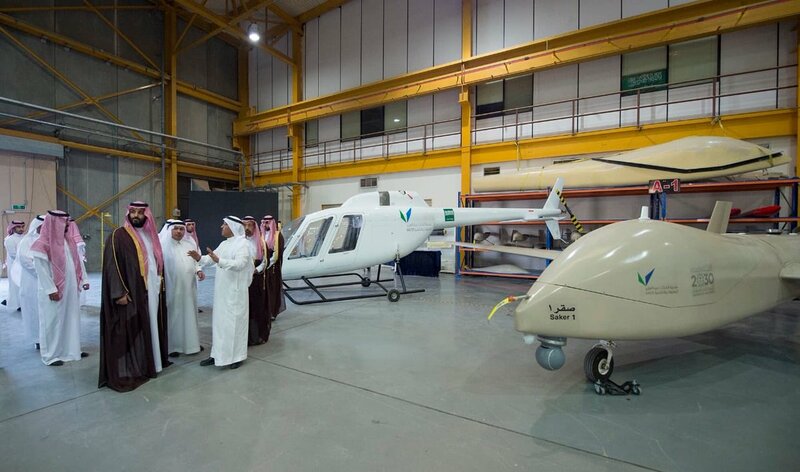 The project is one of seven cutting edge ventures in the fields of renewable energy, atomic energy, water desalination, genetic medicine and aircraft design that were inaugurated by the crown prince, Saudi Press Agency reported. The projects were discussed during his visit to King Abdulaziz City for Science and Technology (KACST). The new reactor will help Saudi Arabia conduct research develop technology for the country’s burgeoning nuclear industry. The Kingdom plans to build two full nuclear power reactors for energy and as many as 16 over the next 25 years. The design of the reactor has been developed by KACST scientists with the help of international experts. Construction of the reactor is already underway and expected to be completed by the end of next year. It will follow all the safety standards of the International Atomic Energy Agency. The reactor is designed to use uranium oxide fuel with 2.1 percent enrichment. One of the other projects reviewed by the Crown Prince is a center for the development of aircraft structures to be based at King Khalid International Airport. The center is one of the largest buildings for developing aircrafts in the Middle East with an area of 27,000 square meters with plans to expand it to 92,000 square meters. The center has the capacity to manufacture most aircraft structures, whether civilian or military. Another project is a genome laboratory for tackling genetic disease in the Kingdom. The National Laboratory of the Saudi Human Genome contains the latest technologies in the study of genetic code, and 100,000 samples which are being examined to create a medical database. The laboratory is equipped to diagnose a large number of genetic diseases, which cost more than SR4 billion a year to treat. During his tour of the KACST headquarters, Crown Prince Mohammed also reviewed two solar-powered water desalination plants. A plant in Al-Khafji will have a capacity of 60,000 cubic meters per day, while another in Yanbu will have a capacity of 5,200 cubic meters per day. 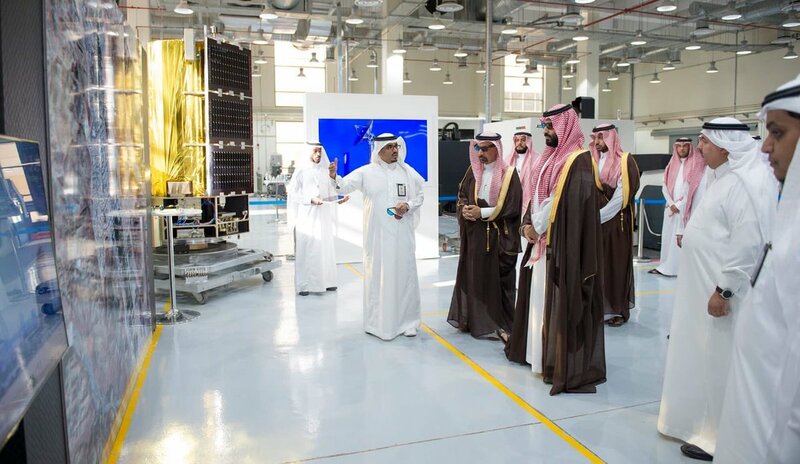 He was also briefed on satellite projects, including the SaudiSat 5A and SaudiSat 5B satellites. Khalid Al-Falih, the energy minister and chairman of the KACST board, expressed his appreciation to the crown prince for his support and interest in the city. KACST targets investment and development in research, through the coordination of national scientific, technological and innovative policies and strategies.